This multi-strand Urban Surfer bracelet is a testament to texture and stylish good looks. 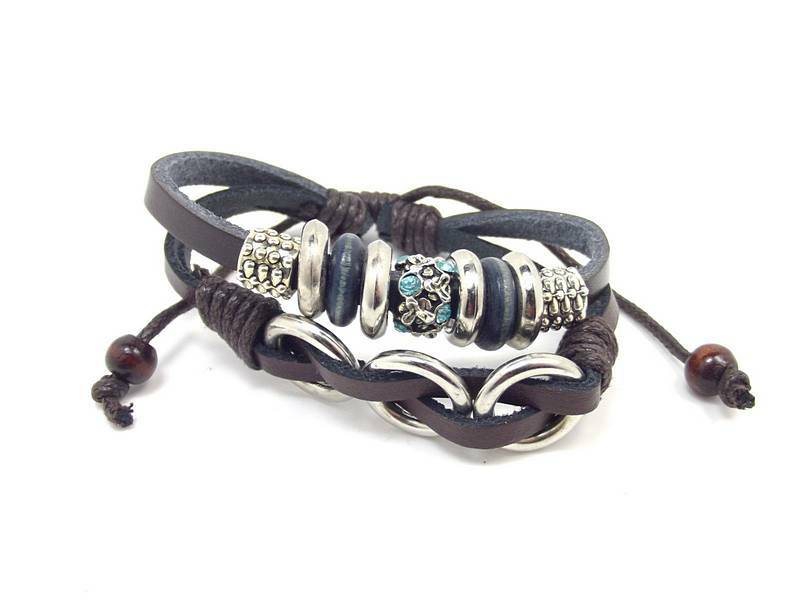 Created in a mixture of genuine rich brown leather, Tibetan Silver beads, natural black wood beads and a Tibetan silver and turquoise stone centrepiece on one level and a leather and three Silver ring second level, this ethnic bracelet with its prayer-bead closure, looks both fashionable and timeless. Adjust the wrist measurement between 6½" - 9".